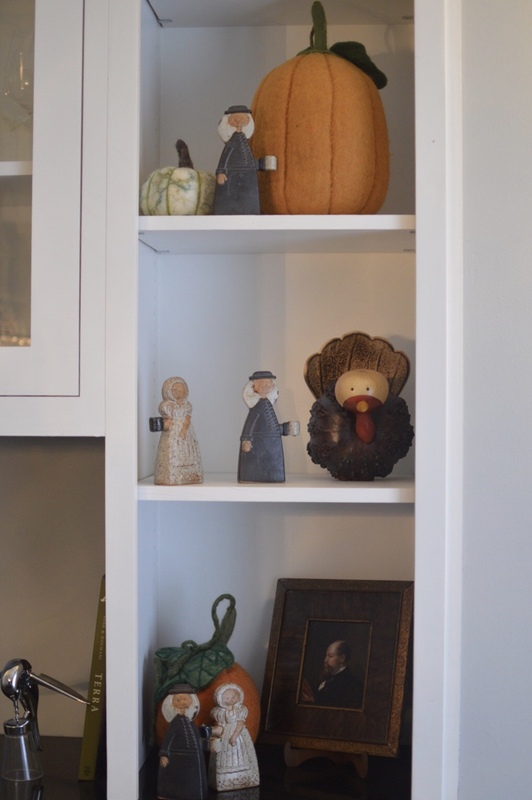 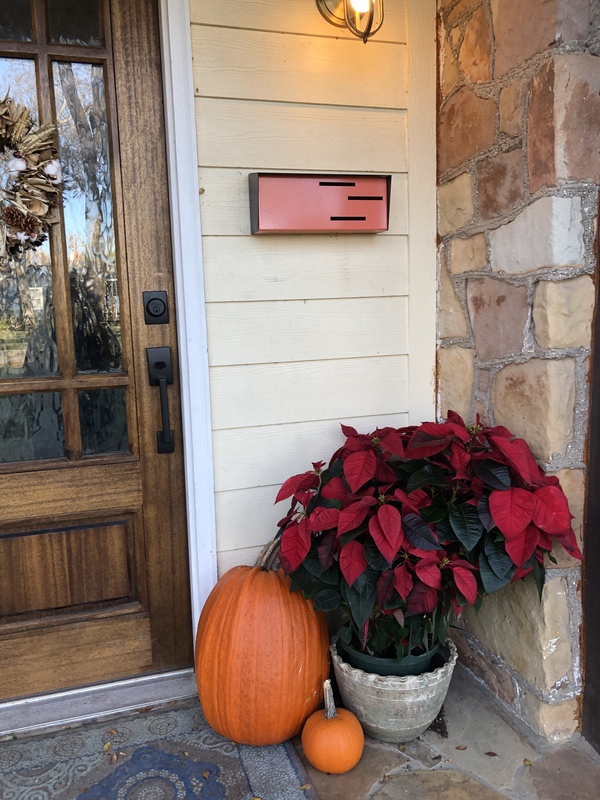 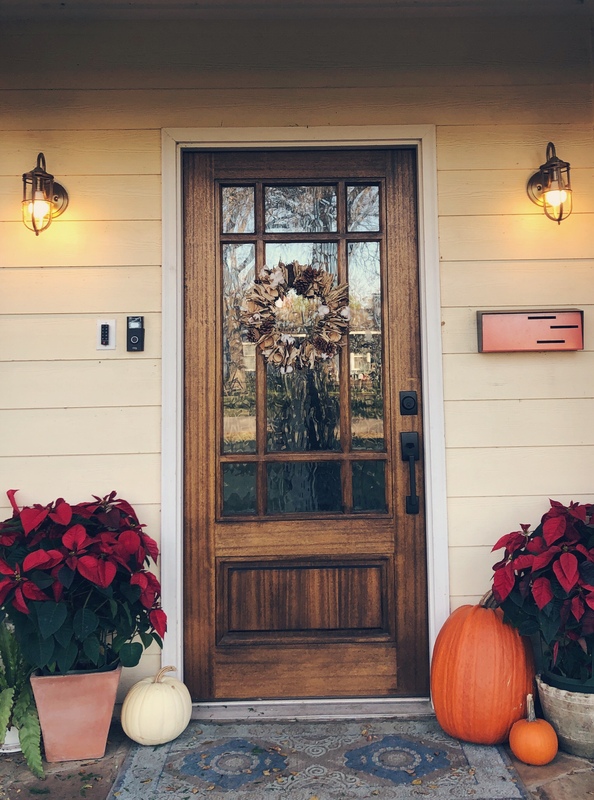 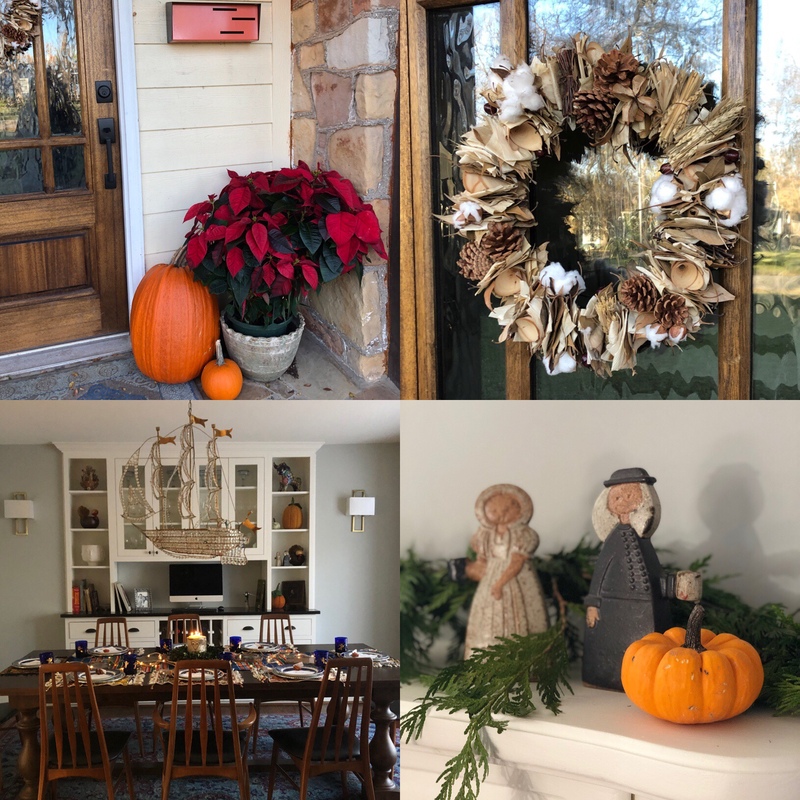 Had some fun decorating for Thanksgiving/fall this year and wanted to show off all of the decor!! 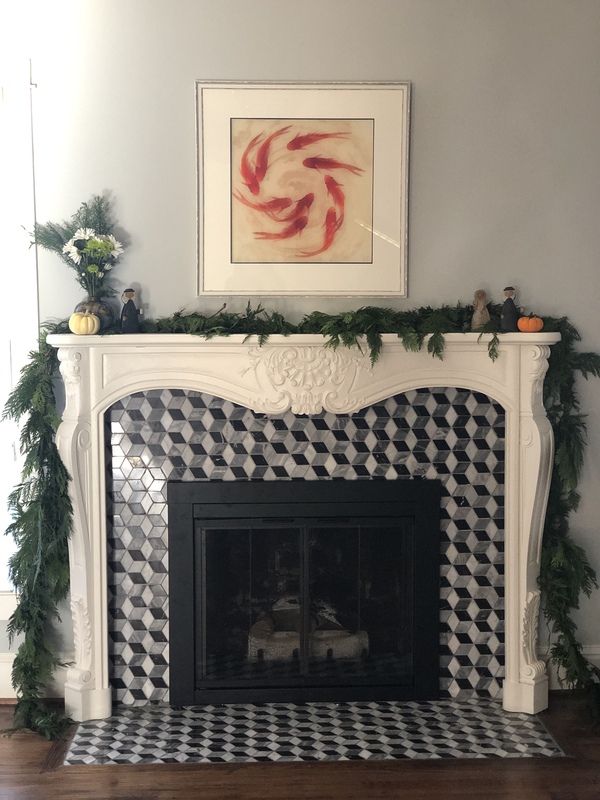 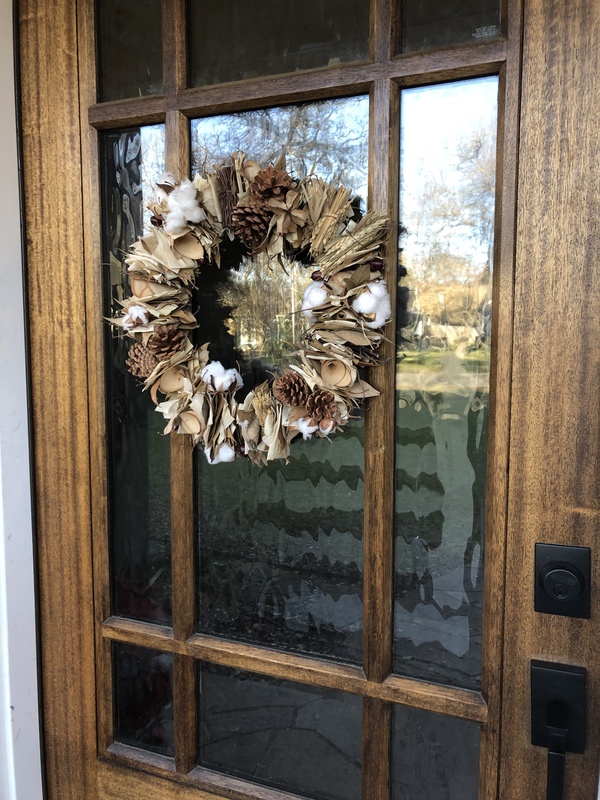 Got some awesome huge poinsettias at Costco and the wreath from Hilltop Cottage! 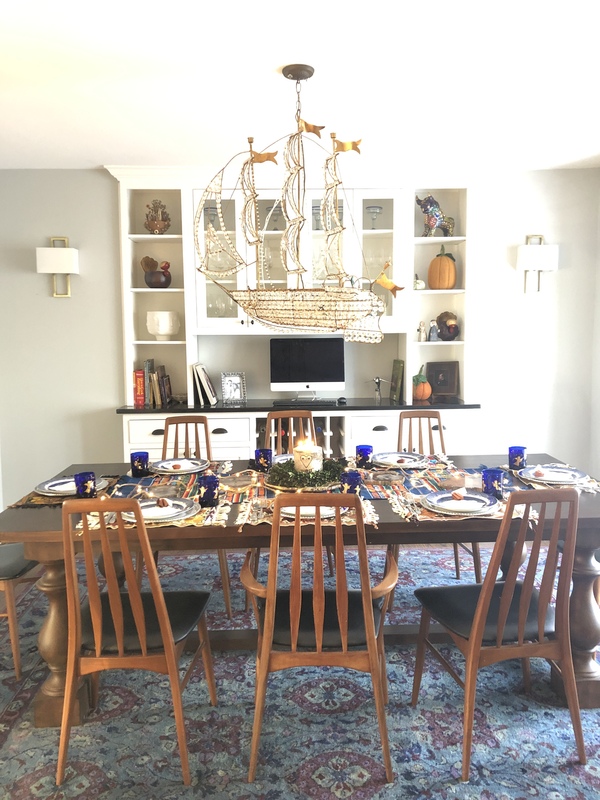 Set the tablescape for our Thanksgiving dinner and almost everything came from Mexico pretty much! 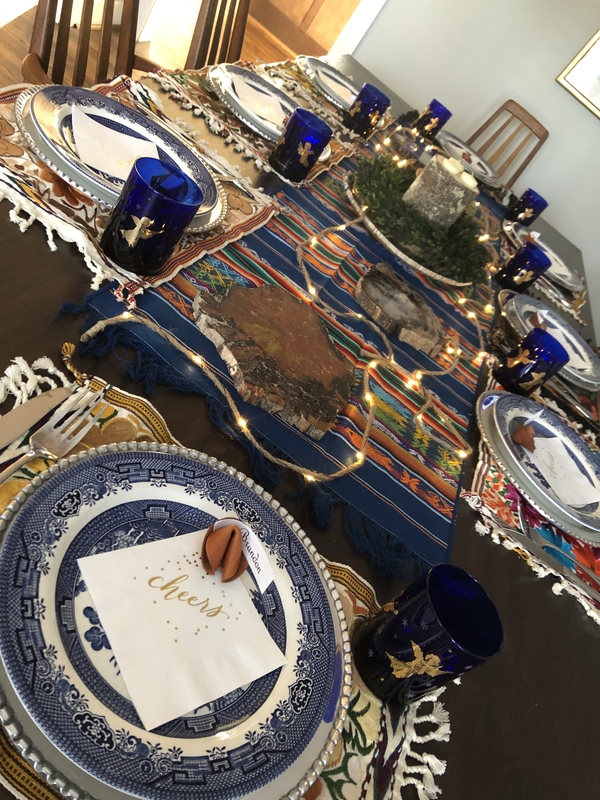 Pewter chargers, embroidered place mats, petrified wood platter and table runner were all from San Miguel! 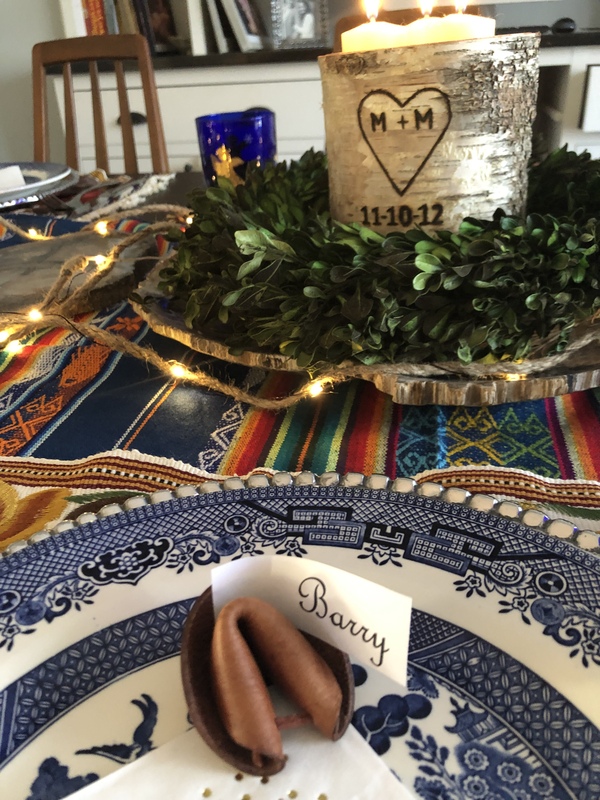 the leather fortune cookies were from Etsy and already had the candle/wreath/cups/plates and cute napkins from my friends shop! 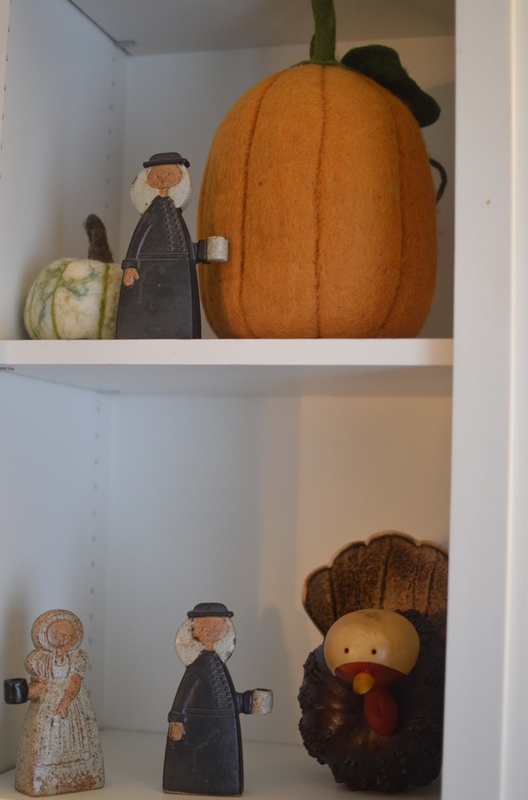 Got the felted pumpkins and gourd turkeys from an apple picking place in Virginia that was so adorable! 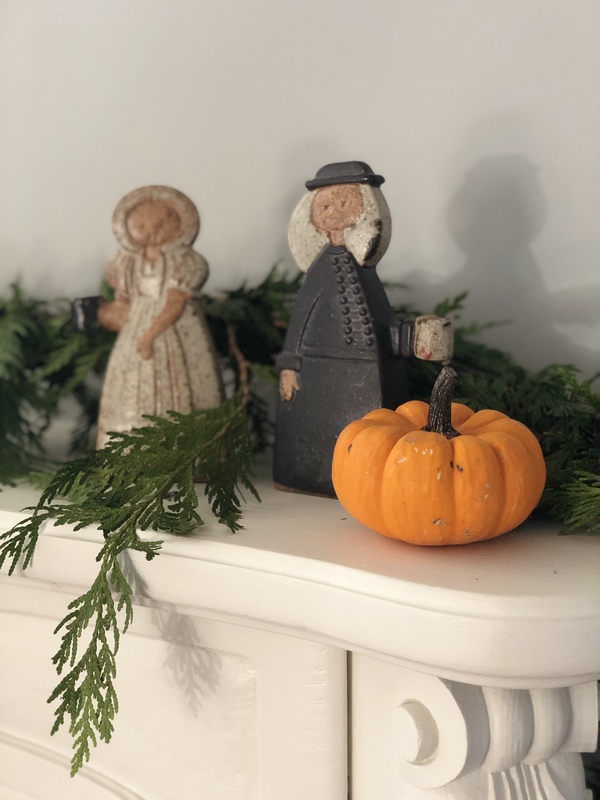 Thanks sissy for my pilgrim candle holders!